We've Moved to a New Blog! I'm pleased to announce that People to People has a new blog platform. That means we will no longer be blogging on this site. If you'd like to continue reading my posts on health and safety, or April's posts on food and nutrition, please go to . . .
Our new blog has a different format that makes it easier to read, share, and comment on blog posts. You'll notice that we cover many categories and topics in addition to health and safety. It's the best place to get a look into current happenings at People to People Ambassador Programs. This old blog will stay up for a little longer. But in a few weeks, if you come to this link, you will automatically be redirected to the new blog. In the meantime, check out the new blog! 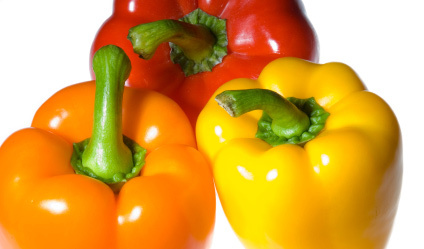 Our overall health can be highly influenced by the foods we eat on a daily basis. 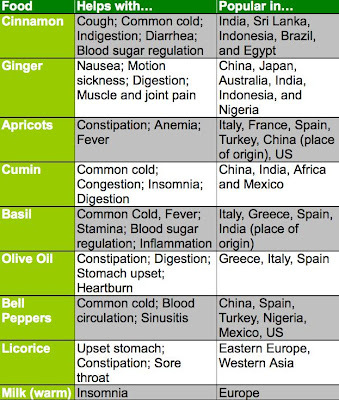 In my last blog post, I talked about nature’s medicine for travel with an emphasis on herbs and spices. That was only the tip of the iceberg! Due to the prodigious feedback I received from that post, I decided to stick with this topic and offer some additional advice for common travel ailments and foods to gravitate toward while roaming abroad. Even though nobody wants to talk, or even think about it, diarrhea often rears its ugly little head during travel. 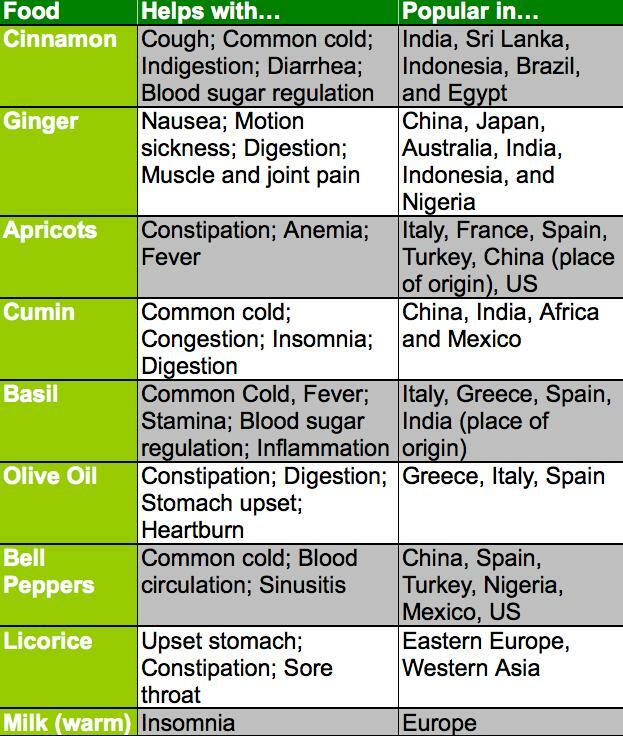 This is because your gut is likely not accustomed to the spices or richness of the new foods you will be trying in other countries. Even slight changes in your sleeping pattern, environment, and activity level can be enough to trigger the onset of diarrhea. As a clinical dietitian, I work with children who have cancer and suffer from chronic diarrhea as a side effect of the chemotherapy treatments. 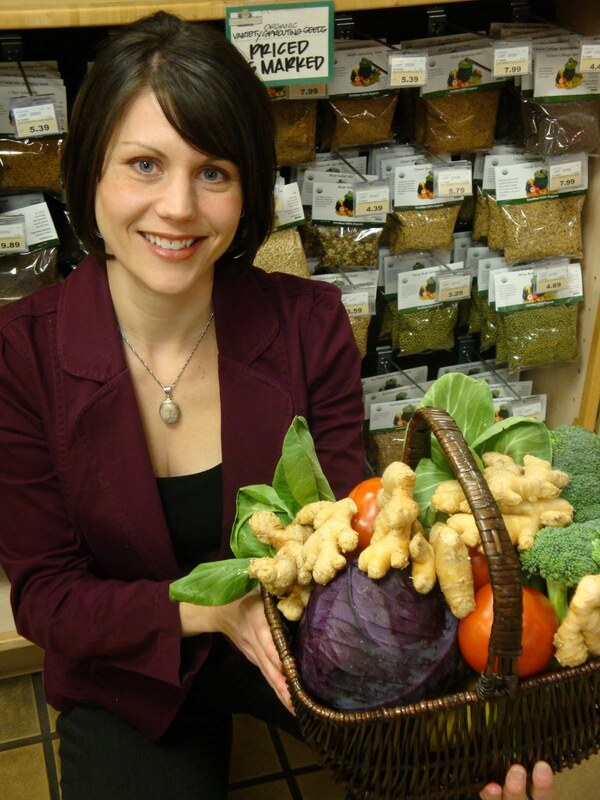 In my experience, white starchy foods have been the most helpful in alleviating this symptom. Mashed potatoes (no peels), soda crackers, white rice, Italian or French bread/toast, and pasta are some excellent examples of beneficial starchy foods to eat when you have diarrhea. Another top gun for this trip disruptor is soluble fiber. Many people think fiber is not good for you when you have diarrhea, but soluble fiber is very helpful. It forms a gel with the water in your intestines and bulks things up. Oatmeal and oat bran, along with the insides of beans, peas, and many fruits are great sources of soluble fiber. Because your body loses lots of water when you have diarrhea, be sure to stay fully hydrated with drinks that contain electrolytes, such as potassium, magnesium, and sodium. Coconut water or sports drinks are excellent restorative beverages. Another very common complaint during travel is the inverse to diarrhea: constipation. The main contributors to this uncomfortable condition include changes in food patterns and composition, dehydration, lack of sleep, and a decrease in activity level. All of these things tend to occur while exploring the world, thus the reason for such a high frequency of this problem with travel. In the hospital, I also work with a lot of people who deal with constipation as a side effect of their pain medications. While we have all heard that prune juice is a good cure, I most commonly recommend fruit nectar (specifically, apricot, peach, or pear nectar) since it tastes so much better and can be just as effective. 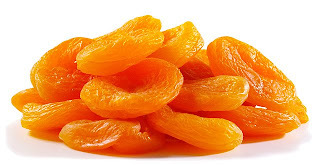 These fruits are helpful because they contain high amounts of sorbitol, a natural laxative. So, if you are traveling and experience constipation, be sure to eat these three fruits or drink their juices whenever possible. Just like with diarrhea, fiber can also be your wingman for combating constipation. 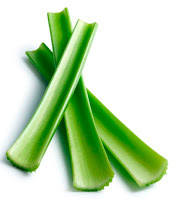 However, to fight this enemy you need to consume insoluble fiber rather than soluble fiber. Insoluble fiber is the indigestible part of foods, such as the seeds in berries, skin on fruit, vegetables, and beans, the chewy part of celery, or the husk on whole grains and brown rice. Tip: If you are eating high amounts of foods that help alleviate diarrhea, and you do not have diarrhea, there is a good chance you may become constipated. To avoid this problem, be sure to balance foods from both areas under when your gut is working normally. Queasiness or general stomach upset is often experienced during travel because our sense of balance and equilibrium is disrupted as unusual motion is detected by the eyes and ears. This is most commonly referred to as motion sickness. Studies have shown ginger to be as effective as prescription drugs in relieving mild to moderate nausea and cold sweats related to motion sickness. Try any of the following: gingersnaps, gingerbread, ginger ale, ginger tea or ginger candies. In many Asian countries, you may be able to find pickled ginger or raw ginger to gnaw on when you need a quick stomach stabilizer. You can find most or all of the foods mentioned in this blog during your travel experience with People to People Student Ambassador Program. Happy, healthy, and safe travels! Secondly, Italy's Mount Etna became active for the second time this year. It is our understanding that there was some limited localized impact due to falling ash in the town of Catania and surrounding uninhabited areas. While the local airport closed temporarily, there was neither damage nor personal injuries. Prior to this eruption, the most recent activity happened back on January13, 2011. Before that, Mount Etna hadn't experienced any major volcanic activity since 1992. While People to People Ambassador Programs has several itineraries that visit Italy each year, only one (Modern and Ancient Civilizations) has any activity located in the extreme southern region of Italy where the volcano is located. Currently, that itinerary is scheduled to visit the area around Mount Etna for only one day during the program. If any adjustment is needed to ensure the safety of our delegates as we draw closer to the summer departure dates, we will reach out to those leaders and families of students traveling on the Modern and Ancient Civilizations program and inform them of the itinerary adjustment. The next closest itineraries (Journey through the Ages and European Odyssey) are over 350 miles away with Naples as the most southern destination. We do not anticipate any impact on these programs, but will obviously continue to monitor the situation. As always, I wish you all safe travels and a healthy life! One of the things I enjoy most is sharing my experiences with people. I was honored to be interviewed by Tonya Fitzpatrick as a featured guest on World Footprints’ radio show today. World Footprints is an online radio, TV, and website geared towards responsible, conscientious, and informed travelers. We discussed how to keep teens safe while traveling internationally, which is a very relevant topic today. I provided some of our top tips on how any student can be careful as they travel. If you want to hear my interview, you can listen . . .
Online: Click here for the audio file (and the show description). [This is an updated link - my interview starts at about 24 minutes in.] The show will be permanently available as an audio file on World Footprints' archive. On Your Phone: If you'd like to listen to World Footprints on your mobile, you can download the Stitcher app for free. The app works with iPhone, iPod Touch, Palm and Blackberry. An encore broadcast of my interview will be available on their mobile channel for one week. I am privileged to have shared a few thoughts on how to stay safe while traveling and I hope you have an opportunity to listen in. Not only does food provide energy and nutrients to help our bodies run on a daily basis, but it contains nature’s cure to many ailments you may experience while traveling. There is a growing body of knowledge that supports the use of whole foods in the maintenance of health and the treatment of illness. Did you know herbs and spices can offer many of the same benefits found in fresh fruits and vegetables AND help remedy common travel-related sicknesses? 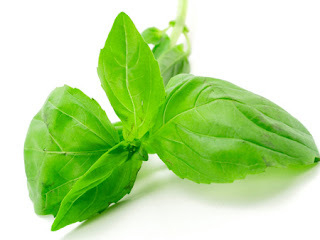 For example, basil has been shown to help fight colds, diarrhea, and kidney disease. Unlike the pills and syrups found in your medicine cabinets, these natural “medicines” promote the healing process, rather than suppress symptoms. Spices are the seasonings for food that come from the bark, buds, fruit or flower parts, roots, seeds or stems of various aromatic plants and trees. Herbs are the leafy parts of woody plants. We can all take a lesson from Hippocrates and improve our health during travel through natural food sources. Explore, learn, and live well! The news has highlighted the worldwide travel alert issued by the U.S. State Department yesterday. These types of alerts are frequently issued after a major event as a safety precaution. Because we take our commitment to safety very seriously, we carefully evaluate these types of advisories in context of the overall situation. Because we do not travel to unstable parts of the world such as Pakistan or Afghanistan for our student programs - nor sensitive military areas that are the focus of this advisory - we are not currently canceling or reassigning any of our student programs at this time. As you may be aware, we did cancel a Citizen Ambassador program to Egypt earlier this year until we could reassess its safety. What advice did the State Department share? Always register with Smart Traveler Enrollment Program (STEP), to receive the latest travel updates and information on your destination. Be inconspicuous and maintain a low profile. We always suggest students attempt to blend in and leave the fancy clothing and jewelry at home. We at People to People Ambassador Programs are always evaluating current conditions. We have a long history of safely traveling over 500,000 students and leaders. Our safety team along with our senior leadership team monitors all situations that could impact our programs. I am personally monitoring the details around the most recent travel alert and receive updates from many sources throughout the day. Changes in the global political climate remind us why we take the responsibility of safety so seriously. You can be confident in the diligence we take when it comes to the safety and well being of our delegates and leaders around the globe as we offer life changing educational travel experiences. How do we decide whether or not to travel to a country? In making the decision to proceed with any program, our senior leadership team relies on up-to-date intelligence gathered from a number of organizations, including the U.S. State Department, the Overseas Security Advisory Councill (OSAC), the Federal Aviation Administration, the National Transportation Safety Board, and international safety and security specialists. Again, at this point we have not canceled or altered any People to People Ambassador Program based on this most recent alert. We will continue to receive multiple updates from these organizations on a daily basis and will stay very close to this situation. If the conditions in any way hinder our ability to provide safe and rewarding programs, we will not hesitate to alter itineraries or redirect programs. Michael J. Bowers joined People to People Ambassador Programs, the leader in global educational travel experiences, in 2008 as Senior Director, Health & Safety. As the only educational travel organization to employ a full-time director of travel health and safety, People to People Ambassador Programs solidifies its position as a safety leader in the tour operations market.